After listening to friends discuss grinding grain for over a year, we purchased a mill (about a year ago.) If you have never seen it then you may think (like I did) that it is complicated. It isn't. 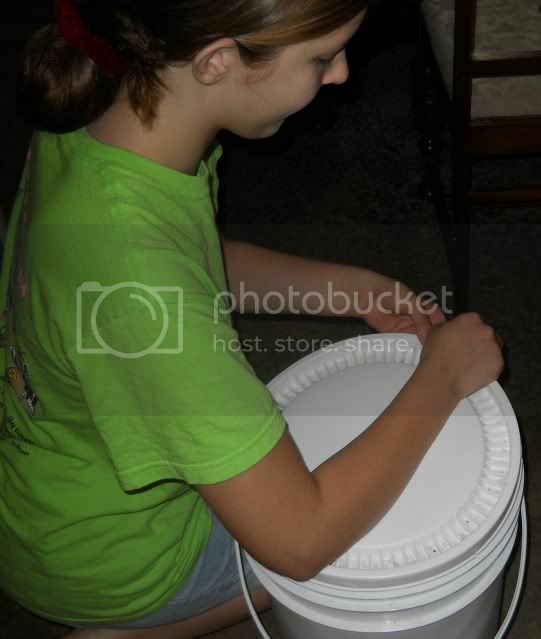 The hardest part is prying the lid off of the bucket of grain when my container on the counter top is empty. Usually Heather is happy to do this step for me. Turn the mill on and pour in the grain. I was told to not turn it off until it sounds like an airplane. 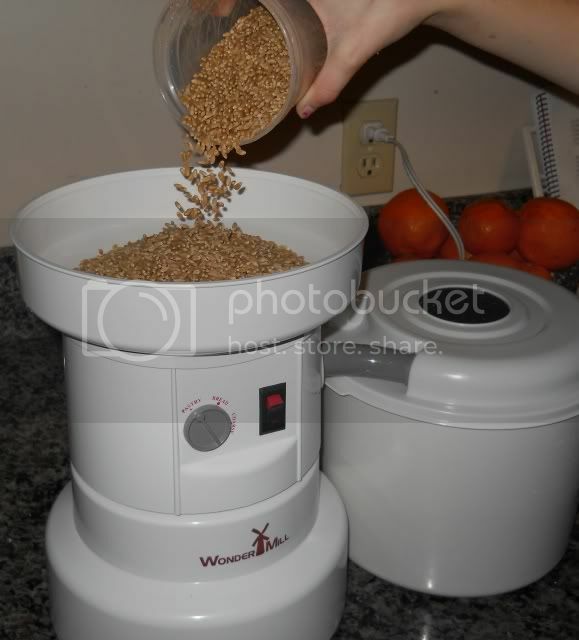 If you turn it off while grain is still inside it, it clogs up. 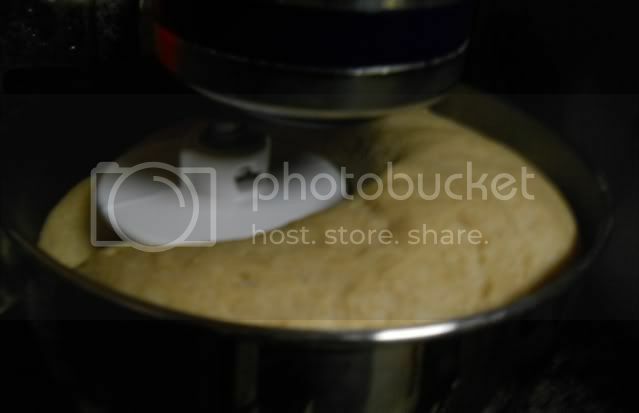 Very quickly you have freshly ground flour. 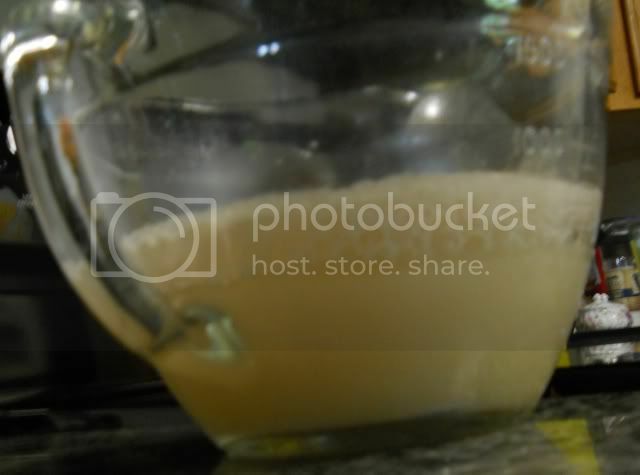 While you are grinding your grain, the yeast can be developing in the water and honey. I let it rise in the mixer (covered with a thin flour cloth.) I may try kneading it by hand again soon to see if there is a noticeable difference. 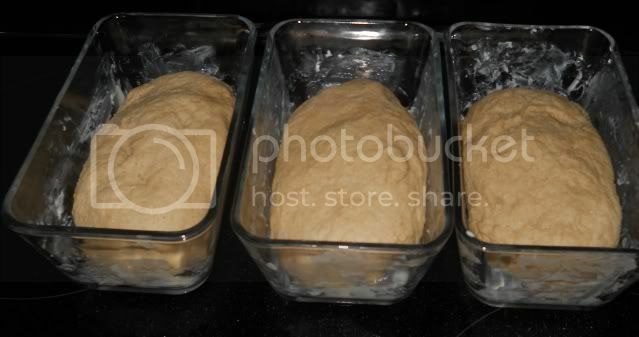 Shape dough into loaves (three smaller loaves works well for us,) and place in buttered bread pans to rise again. I usually set these on the back of the stove. The heat from the oven helps them rise. This time we added gluten (which I don't want to make a habit) and it sliced smoothly enough to use for sandwiches. We have changed it a bit since I took these pictures. I'll share our recipe soon. 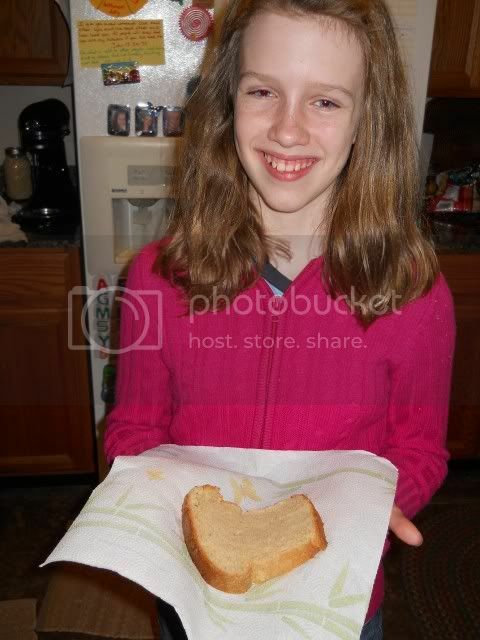 Emily has almost completely taken over the bread making. Shelley, I'll try to plan making it again the day before we come visit you. 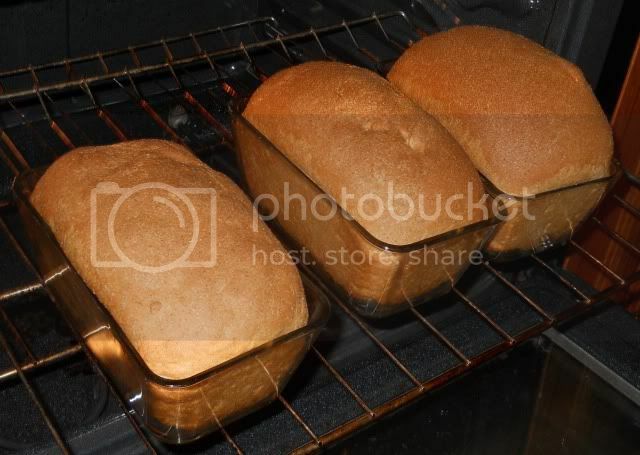 I have been on a bread baking roll and particularly love using Einkorn flour! Would love to get a grain mill and have freshly milled flour!